TRK 4.0 for Linux/*BSD/MacOS is available! Today we've released Torrent Ratio Keeper Beta for Linux/*BSD/MacOS. This version runs on any PC with Java 1.5/1.6/1.7 installed. Look at the right bottom corner. You will see active port. You can change it or leave it as is. Now you should launch your torrent client and enter "localhost:3012" as HTTP proxy. You can start your downloading or seeding. Wait a minute, and the program will automatically add the trackers to the list. You can change upload boost for each of them to increase your torrent ratio. Re: Linux/*BSD/MacOS version is available! Hi, noob question. I am using Mandriva 2010, how do i instal this. You can try to double click jad file. If you have Java (JRE) installed you will able to run it. I found this tutorial for Mandriva. Do you see updated stats on TRK and on tracker? Are they correct? Could you write TRK settings? 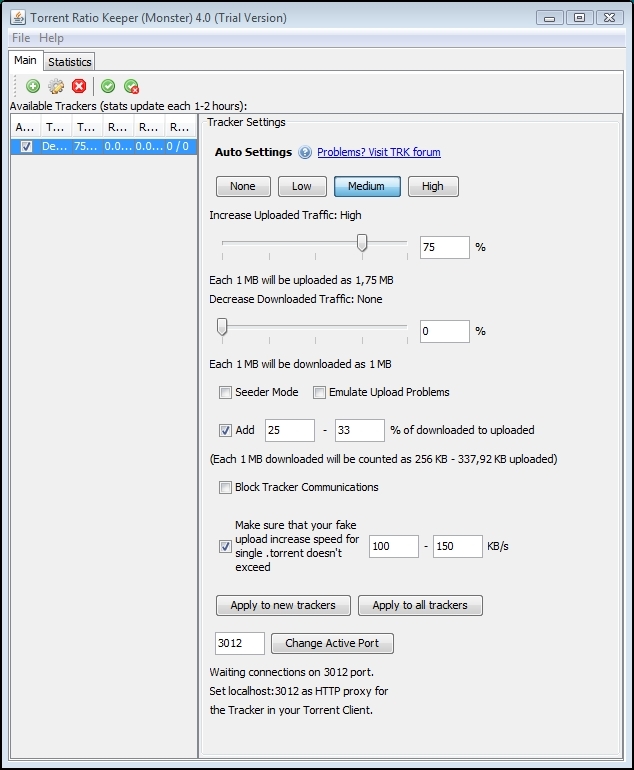 Torrent Ratio Keeper should work fine with any .torrent (file or files). If you have any problems, please send .torrent file to us to check it. Downloading speed depends on seeds/peers count. 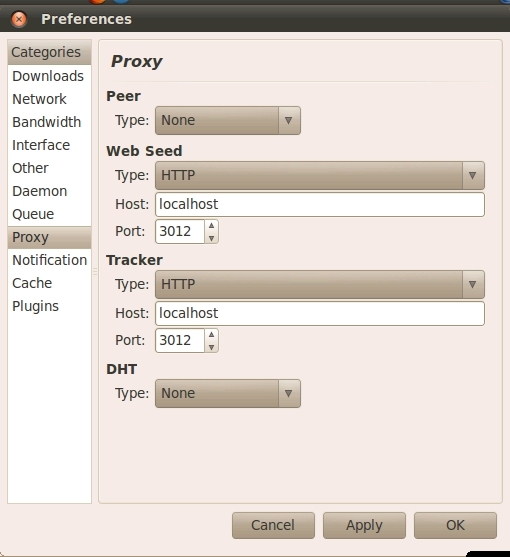 Torrent client can spend first few minutes on checking peers speed. Please provide more information about your torrent client and the tracker if possible. We will check it. 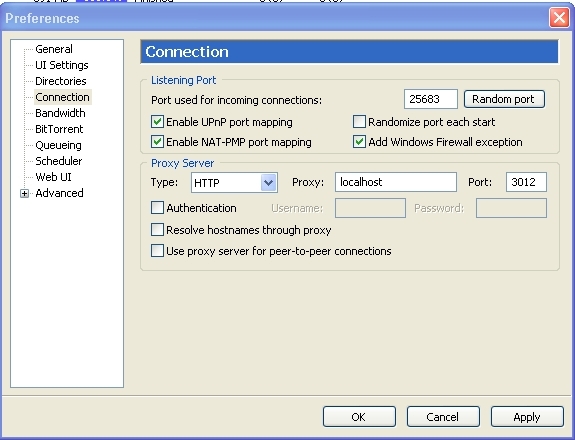 It's not recommended to turn on/off TRK while torrent client works. It will reduce the upload boost and it will look "strange" from the tracker's perspective. It's possible that root and user have different skins. Thank you for the mini-FAQ. I'm having trouble with installing this on OSX. I the .jar file that you get after extracting the zip file only appears as a folder and not an executable. I have the latest versions of OSX and Java. Any ideas? You need to double click the .jar file to launch it. No need to extract files. Can it be run as a daemon?